It’s easy to want to make changes in your life, but actually making those changes is tough. 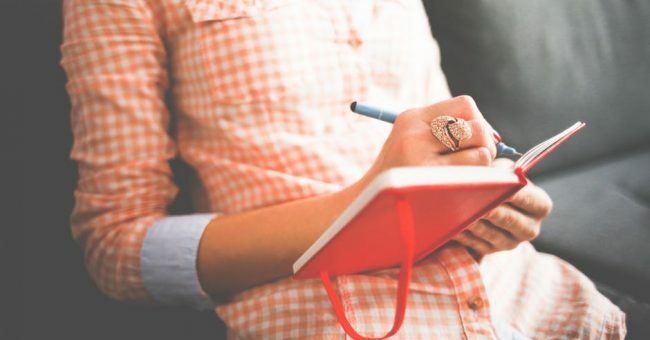 If you’re looking to become more focused and get rid of those unwanted distractions in your life, a bullet journal could be the solution. It worked for me! I have heard about bullet journaling, but didn’t quite understand the concept. Luckily, I came across a helpful TEDx talk by Ryder Carroll. (Watch it at the end of this post!) In the talk, it explains how a bullet journal is a way to record the past, organize the present and form the future. Do you love making lists as much as I do? Well, this is a way to combine all of your different lists, from to-do lists to goals. You can conveniently have this all mapped out in your bullet journal. I was looking for tips on how to get started and came across this site that was super handy. Buzzfeed also has a fun article that goes into detail. Carroll actually designed this idea to help overcome some of the challenges he was facing in his life. He has a whole website dedicated to helping you get started. 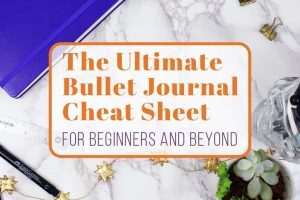 After researching bullet journaling and testing it out on my own, I can completely see how a bullet journal can actually help you achieve all of your greatest dreams, while also getting the things you need to get done, done! First, a bullet journal will help you declutter your mind. Think of it like taking a mental inventory of all of your thoughts. Did you know that on average, we have over 500,000 thoughts every single day? It can be difficult to keep all of them straight. With a bullet journal, you can reflect on your thoughts and keep track of what you need to do, what you should do and what you want to do. By writing them down, you will be able to capture your thoughts while releasing them. This is a way to reflect on how you really invest your time and energy. When going through your lists of thoughts, ask two important questions: is it vital and does it matter? If the answer is no to both, then it is considered a distraction. Distractions will only get in your way of accomplishing the things you need, should and want to accomplish. Now, you can start deleting these distractions from your life. Next, use a bullet journal to help you pursue the things that interest you. If you are like me, you have goals and using a bullet journal has really helped me focus on achieving these goals. Start by breaking down your goals into small actionable tasks like Carroll talks about in his talk. Work on completing these small tasks and eventually they will add up, getting you closer to your goal. This is a great way to try out your curiosity without wasting time. One of the biggest benefits of a bullet journal is learning how to remain focused. If you can dedicate yourself to keeping a bullet journal, it will help you form habits for intentional living. The more you are aware of your surroundings and actions, the more you can stop, think and really focus without distractions. 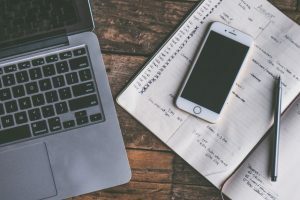 So, a bullet journal, in a nut shell, is a way to record your thoughts, keep a mindful and productive to do list and help you make the right decisions by staying focused. Check out Carroll’s full TEDx Talk below! ← What is a Travel Journal Anyway? Isn’t That What Social Media is For?